Character - Trooper. Points: 10. Health: 10. 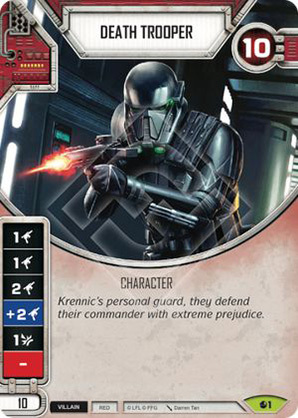 Krennic's personal guard, they defend their commander with extreme prejudice.